The evening of tomorrow, Saturday 19th May 2018, will be different from what you are used to. In fact, the Nights of the Museums, an unmissable event for lovers of culture, comes back. Many museums of the city will open their doors in the evening and at night for the price of one euro. The initiative, now in its 14th edition, aims to promote the local cultural and museum heritage, disseminating it to new and ever different audiences. Musei Reali: Giardini reali (Royal Gardens), Armeria Reale (Royal Armoury), Biblioteca Reale ( Royal Library), sale Chiablese (Chiablese Halls), Galleria sabauda (Sabauda Gallery), Palazzo Reale (Royal Palace), Museo di Antichità (Museum of Antiquity), Cappella della Sindone (Chapel of the Holy Shroud). Open from 20 to 23. the ticket offices closet at 22. Palazzo degli Istituti Anatomici (Palace of Anatomical Institutes): Museo di Anatomia Umana “Luigi Rolando” (Museum of Human anatomy Luigi Rolando), Museo di Antropologia Culturale Cesare Lombroso (Museum of Anthropological Criminology Cesare Lombroso), Museo della Frutta “Garnier Vallletti” (Fruit Museum “Garnier Valletti”. The visit will be free of charge during normal opening hours (10 to 18) and the extraordinary evening opening up to 24. Guided Tours will be available from 21 to 24. The initiative of the Student Senate of the University of Turin in cooperation with the Museum Subscription Association enabled the distribution of more than 3000 discounted Museum Subscription cards to university students. Huge success for the initiative of the Student Senate in collaboration with the Museum Subscription Association (Associazione Abbonamento Musei): from 19th to 26th March, more than 3000 special discount coupons of the Turin-Piedmont Museum Subscription card have been handed over to the students attending the Università degli Studi di Torino. The distribution of the card took place in all the faculties and study hubs of the University of Turin. Hundreds of students from the faculties of Agricultural sciences, Economics, Physics, Jurisprudence and Human sciences have patiently stood in line for hours in order to get one of the Museum Subscription Voucher for the discounted price of 11,50 euro for buying a new subscription. Once they have got the voucher, students will have to load or to renew the subscription directly on their university Smart Card or on the Pyou card within 3 months from the distribution in one of the points of sale of the Museum Subscription network. 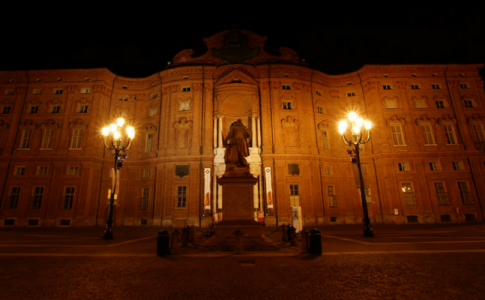 The original initiative focused once more the attention on culture and promotion of the local areas, thank to a card that allows the access to the rich artistic heritage of Turin and Piedmont. In fact, there are more than 200 cultural sites which can be visited for 365 from the moment of the subscription: a product already chosen by 130 000 subscriber, who have been joined by this young university students. It is enough to be two! All the offers for a cultural Valentine’s Day. It’s not easy to escape from the stereotypes of Valentine’s Day! There are the traditional celebrations, picture-perfect: those by candlelight, with roses, chocolate and kisses. Every Valentine’s Day the question is the same: how can we still surprise our loved ones? The Museums of Turin offer you the possibility to spend an alternative Valentine’s Day, with discounts and offers conceived for couples. 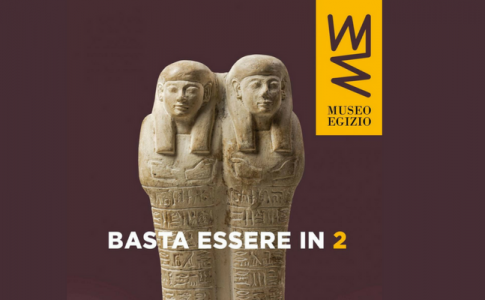 The Egyptian Museum, for example, started the offer Basta essere in 2: all those who will come as a couple will have the opportunity to visit the museum with a single ticket. The offer is valid only on a full price ticket. Fondazione Torino Musei,celebrate Valentine’s Day with art! Even the Fondazione Torino Musei offers the possibility to divide into two the cost of the entry tickets. Throughout today, Wednesday, 14th February, all couples that will go to the GAM, to the Palazzo Madama or to the MAO will be able to enter the museums paying only one ticked instead of two. The National Cinema Museum celebrates Valentine’s Day in the romantic location of the Mole, even here a convenient 2×1: all visitors that will come as a couple will pay only one entrance ticket. Even by purchasing online, one ticket will be worth for two. Furthermore the guided tour I LOVE CINEMA is scheduled at 6 pm. I is a tour dedicated to love told and experienced by the greatest protagonists of the seventh art, characters narrated through anecdotes, photos and unforgettable sequences. Prices: € 6,00 + Reduced price; Duration: 1 hour and 30. 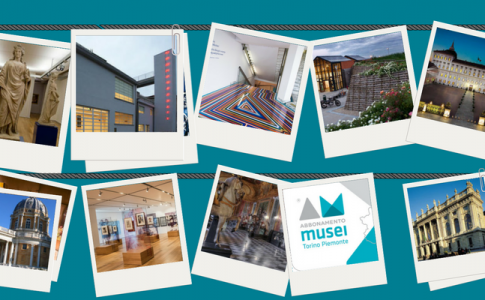 Compulsory reservation at the e-mail prenotazioni@museocinema.it – Info: 011- 8138564/65.